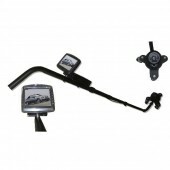 The device you are viewing is an economical and simple Portable Under Vehicle Inspection Mirror. It has three support activities wheels, so it can be easily push forward. Besides the wide range of pole activity make it possible to adjust to space of various points of view. 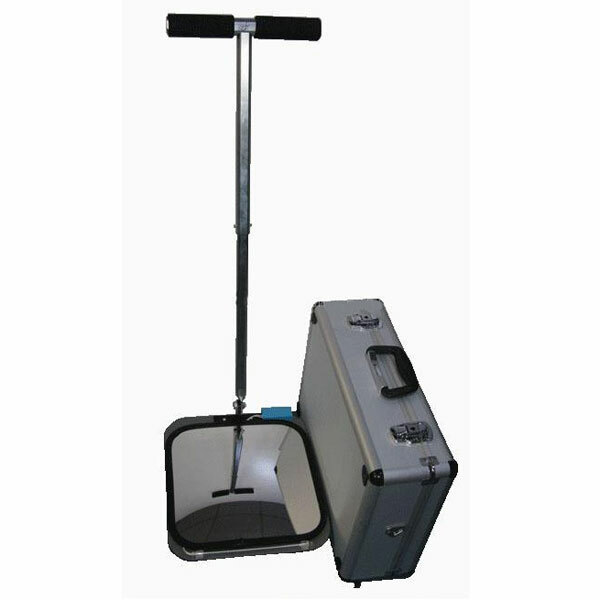 This under vehicle inspection operation design can be used for searching tables, chairs, vehicles and other objects need to bend down to search. 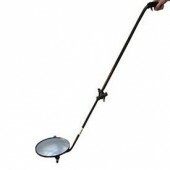 Besides the MW or removed at the end of round of the ML can be use to cabinets, ceiling and other objects that need climbing, in this way the Vehicle Inspection Mirror really bring us a lot of convenience. What’s more, according to the situation a flashlight will be used to avoid missing the target object search in low-light. Where to buy such a good device? Come here and you will find one. The brightness is as the glass mirror. PS at the bottom can effectively prevent damage to the mirror caused by the collision. Using high-quality aluminum structures and several high-intensity processing, light, strong and beautiful. Outdoor grill surface clean room paint handling, long-term use does not fade, no peculiar smell, harmless to human body. Equipped with a black cotton foam handle grip feeling good for a long time operation. Built-in lithium battery, 1-2-hour charge for 5-6 hours work. Packaged with a standard power adapter. Make the rod for folding fixed in aluminum case for easy withdrawn. Equipped with portable bag for collection, when not in use. As an old customer of yours, I really like your product. It is of good quality and reasonable price. The product is just as I have expected. I am very satisfied. Cool product with advanced technology. Cool product with advanced technology. Nice! been a first class online store. I was very satisfied with my order placement.